Nice one mok. My string-thru(832846) looks fairly identical to yours. The exceptions would be the pickups(at some point they switched to Dimarzio look-alikes with 2 adjusting screws on the bass side) and the serial # ink(mine is grey= easy to read). Also the tuners are a bit different but with the same decal. I recently searched the neck for composition. It's maple and quite likely 3-piece though pretty hard to tell. Very similar to Mat-made Epis of that era. Hopefully soon I'll have an '81 also in which to compare. I'm currently theorizing that maybe the 81xxxx's were made by Yamaki and, like the wing series, switched to Mat in '82. ?? Another no-serial, diamond volute mystery HB-35. 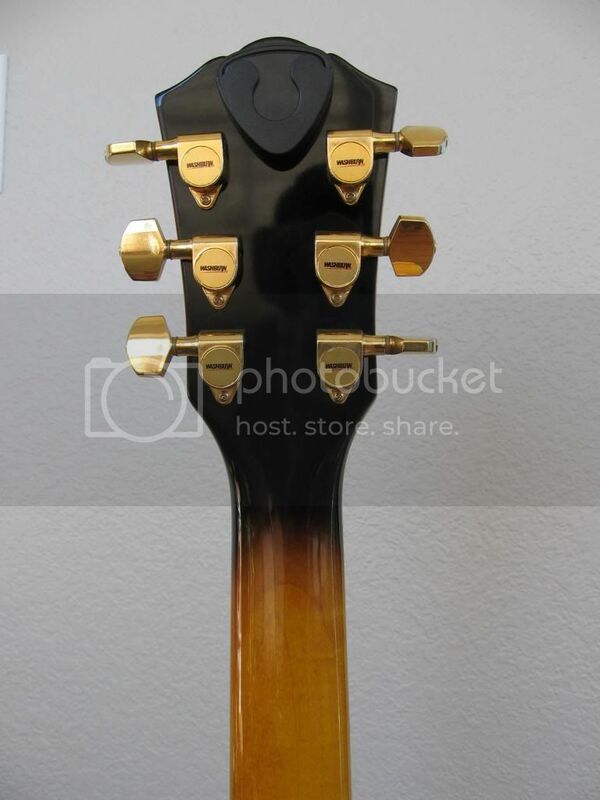 Nice tailpiece! No price. Well, it's been a while since I've been on the forum but I just spent an enjoyable few minutes catching up via this thread. 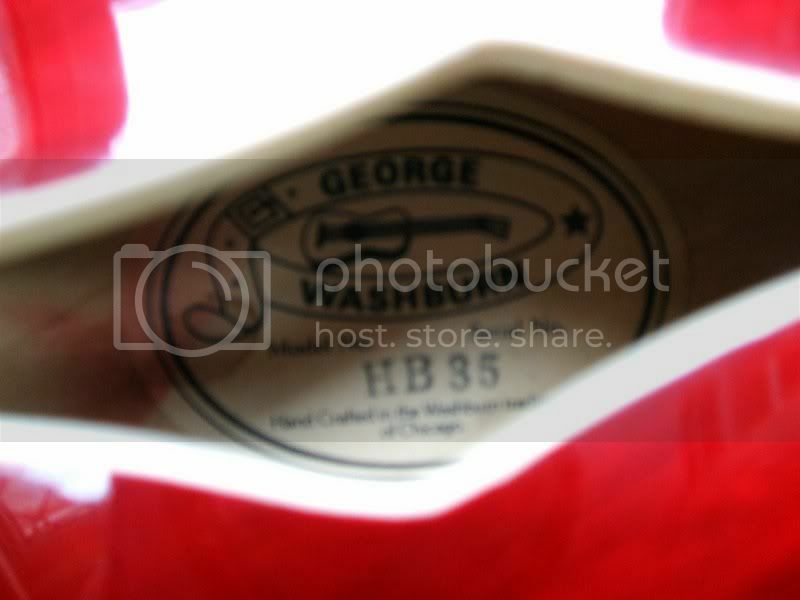 I can't contribute anything other than some old pics of my HB-35. She was given to me by a friend who used to be a pawnbroker, and as best I can tell she's all orginal. Got a proper camera now, so I should maybe take some better pics. I recently acquired an HB-35 which, near as I can tell, is a 1990 model. Per the info presented previously, this should be toward the tail end of the Japanese run; however, many of its characteristics sound like the early Korean models. It has a six digit serial number with no letter prefixes; however, something that I've not heard from others is that the first three numbers are stamped, while the last three are hand-written. It also exhibits most all of the shape and configuration characteristics of Washburn's current models as far as headstock, horn shape, switch and plug location, etc. Definitely has a scarf jointed headstock, and relative to Racing's comments (I think...) the tuner alignment is all over the map (i.e. not the precise alignment typical of a Mat...). The frets are pretty high, too, which someone said was typical of the Korean models. 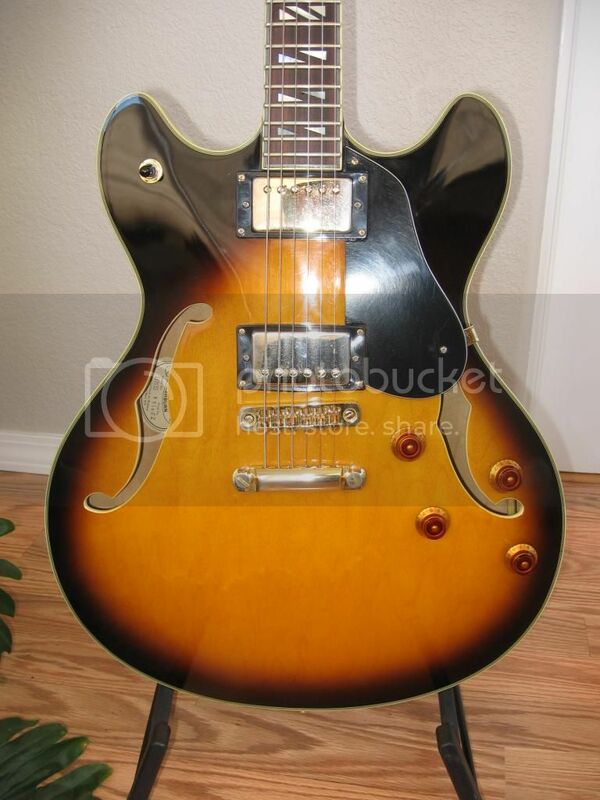 Anyway, I've played exclusively acoustic for the last 30+ years and am just getting into the whole semi-hollow body electric gig, so have a lot to learn. I enjoyed sorting through all the info previously presented, and hope this might help round out the picture a bit, as the early nineties models seem to be the least represented here. Still the same. Tom. I use Win, 7 home prem. Super! Thanks. I'll have to play with it some more to see what's going on. I'm using same OS, but it's been over a year since I'd logged into my Photobucket account, so am not familiar with their new format. BTW, the other thing I like about this guitar is that the "Washburn" inlay on the headstock doesn't have the registered trademark symbol after it, like a lot of newer ones (and some older ones, apparently) do. got this HB-35 to my birthday. 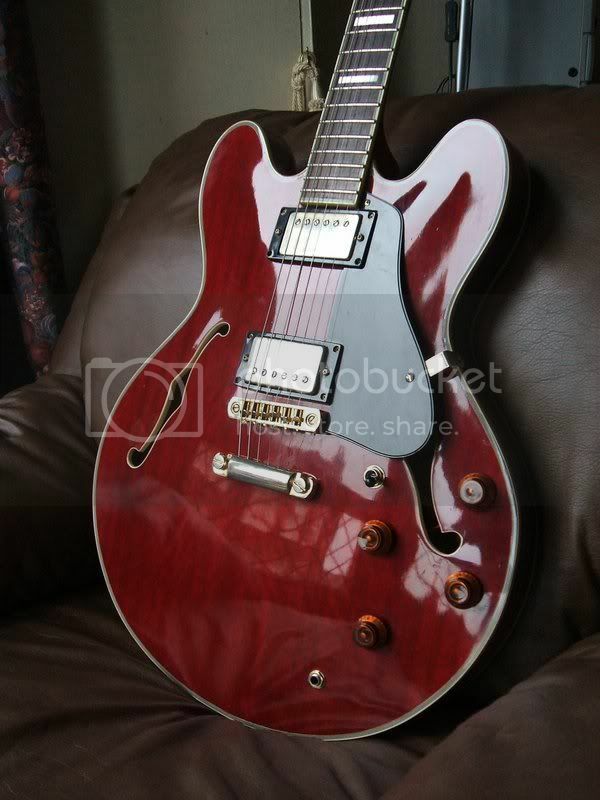 I don't have any idea from which year this guitar is and i wold have a kind of description about material and special feature. New to the site. I just picked up J6 today at Salvation Army. 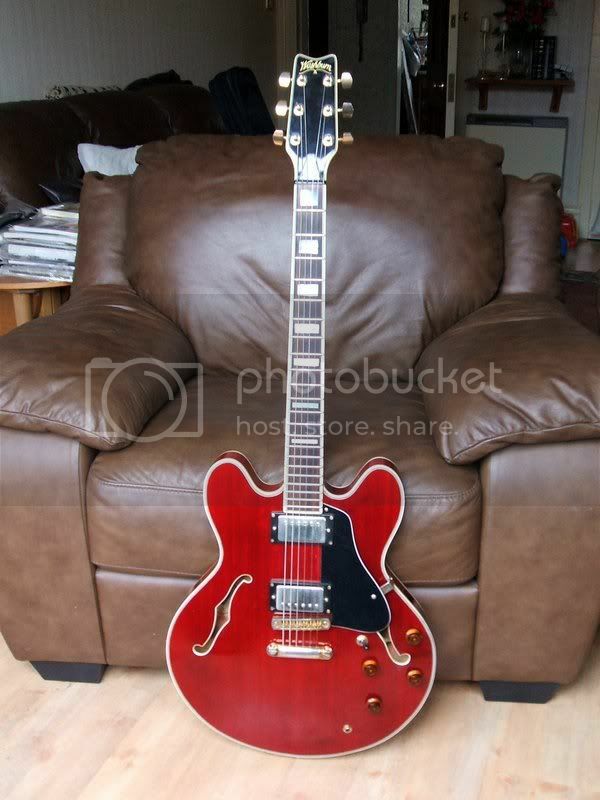 It is fantastic shape although the pick guard is missing. Serial number is 8066. From what I'm reading that would make it an 88 Japanese made.? 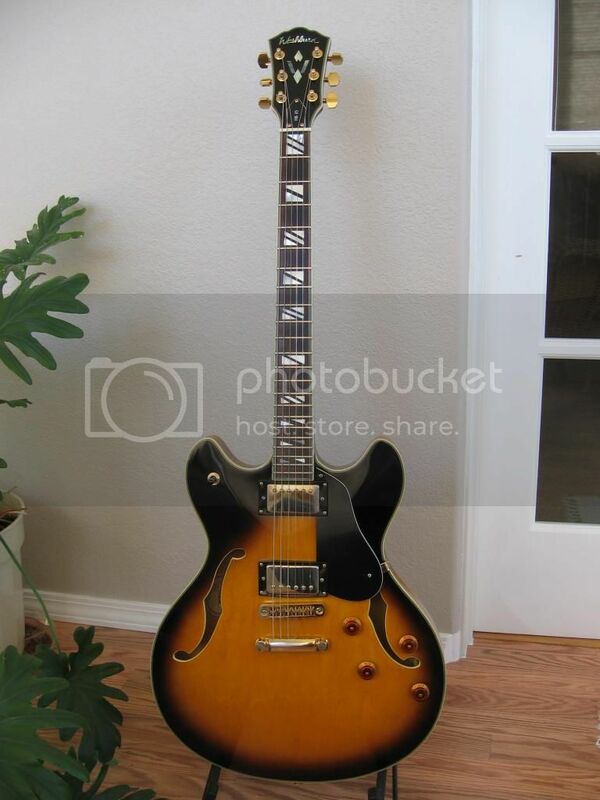 It has a 5 piece neck and is the sunburst color. If there is any additional info needed please don' hesitate to ask. Hi guys, just joined this site a I've been trying to research details about my HB35 I'm trying to find out the age of my HB35 and if it's MIJ?? 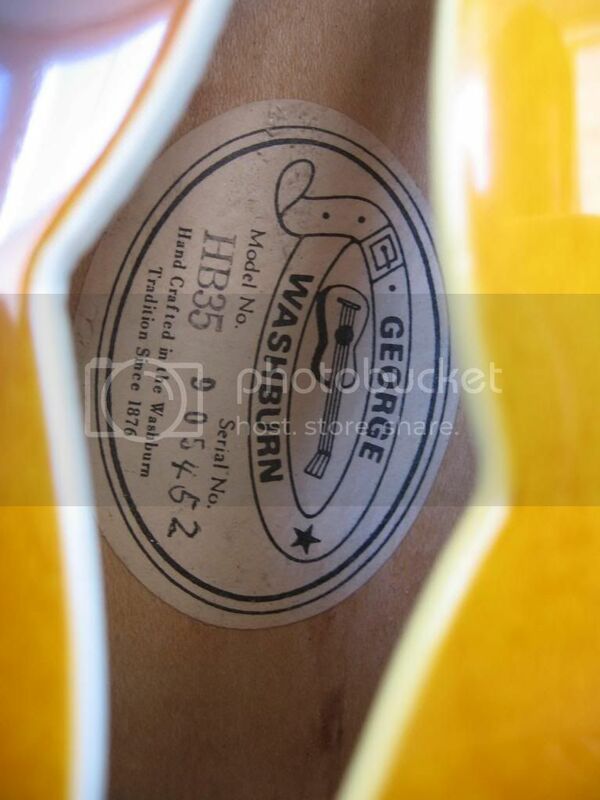 It has the old authentic label inside the f hole that says 'George Washburn, hand crafted in the Washburn tradition of Chicago'. It gives me the model number, but surprisingly it doesn't have a serial number at all! I've looked all over to try and find one somewhere but no luck, and it's not a case of it being faded away either. So I'm curios to know if I have a MIJ model or not!? Any help here would be very much appreciated!! 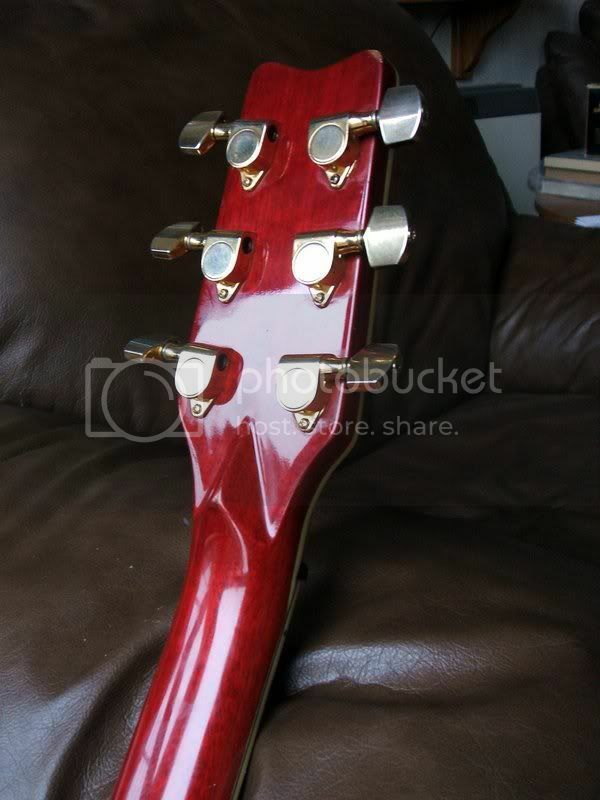 It's red in colour that you can still see the word grain in, the headstock doesn't have the trademark symbol as the new ones do, and tapers inward at the top rather than bulking outward. Hi Raudy and welcome to the forum. Looking forward to the pics, sounds as if you have an early model with a "Wing Series" neck, and Dots Not Splits as fret markers. If so,made in Japan is a good guess.